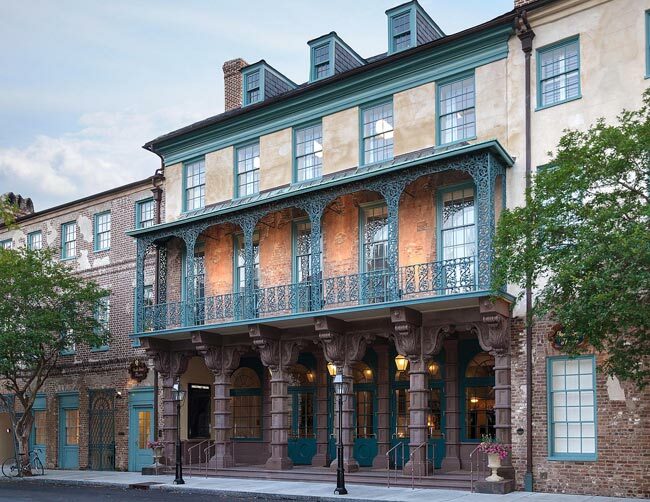 Charleston's Dock Street Theatre – located at what is today the corner of Church and Queen – is often touted as America's first theater, meaning that it was the first building in the United States designed exclusively for theatrical performances. The story is actually a bit more complicated ... and interesting! Please read on to find out more about this fascinating building which has been the source of so many myths and so much magic. To get to the bottom of this mystery, we've done a heap of research, and we hope you will find this entry in the South Carolina Picture Project to be the best study of the Dock Street Theatre anywhere. March is Women's History Month so don't forget to check out our guide to the many important women in South Carolina's history. 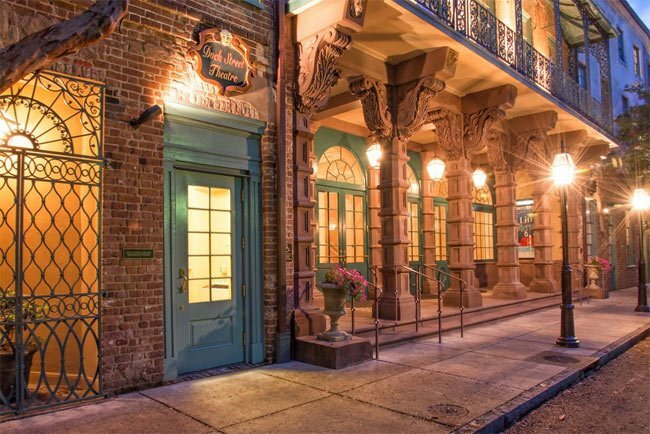 Our guide will help you discover South Carolina's most notable ladies – past and present. It provides brief biographical info plus web links for nearly 100 SC women – from a 16th-century Native-American queen to a 21st-century corporate tycoon. Entries also include such fascinating females as a Pulitzer Prize winner, a professional wrestler, a former Miss America; multiple movie stars, artists, authors, and inventors; a team of world-class Civil Rights leaders; a soul food purveyor; and one iconic game show host. 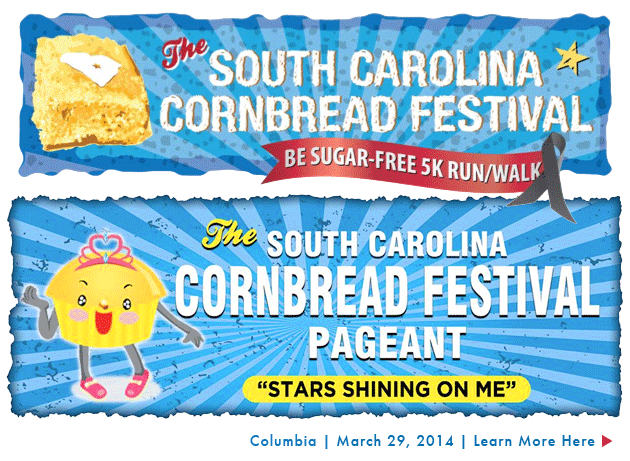 Saturday, March 29, 2014 | North Columbia — This year's March Calendar of SC Events is brought to you by the South Carolina Cornbread Festival, which promises fun for the whole family! The event includes a 5K run and walk, a cornbread cook-off, the "Little Miss Muffin" pageant, live music and more! You can find it at the corner of the 2800 Block of Main Street and Newman Street, in North Columbia. "Cocky" will be in attendance along with Benedict's Tiger and Clemson's Tiger! In addition to SCIWAY's March Calendar of SC Events, remember that all of our event calendars, for every month of the year, are always available on our website – just go to https://www.sciway.net/calendar.html. You can sort events by date, city, name, or type – it is hands down the best South Carolina calendar anywhere!